I am at a loss for words, in this same year that I have lost my beloved physical grandmother, Miss Susie May Jackson, I just heard on the news that “Madiba”, my spiritual grandfather, Nelson Rolilahla Mandela. The news was not a complete shock due to his waning health but it is deeply saddening. 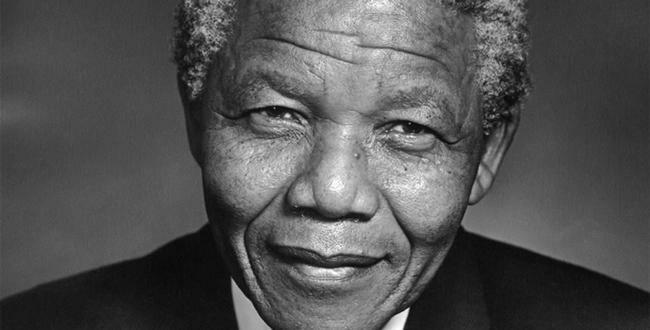 A great deal of my life as a teenager was spent learning about Nelson Mandela, and having not known any grandfather, paternally or maternally, I secretly carried him in my heart as the grandfather I never knew. His passion and political career and life has served as an inspiration to me and countless others over the years. The true example of passion and unrelenting commitment, In fact, me and my cohorts had an obsessive focus on South Africa as kids studying Apartheid and Nelson Mandela and studying the great changes that took place in that country from the 70’s- late 80’s. As a theatre student and member of the Freddie Hendricks’ Youth Ensemble of Atlanta,also known as Y.E.A. 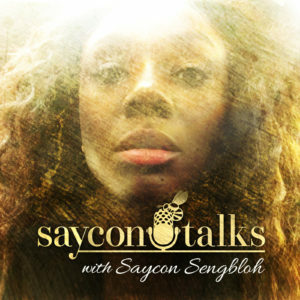 I can still hear the voice of Michael “Sahr” Ngaujah yelling Amandla! Long before we starred together in Broadway’s Fela!, we, and many others, portrayed the young South African students who struggled in their fight against Apartheid in some of the earliest productions of “Soweto! Soweto! 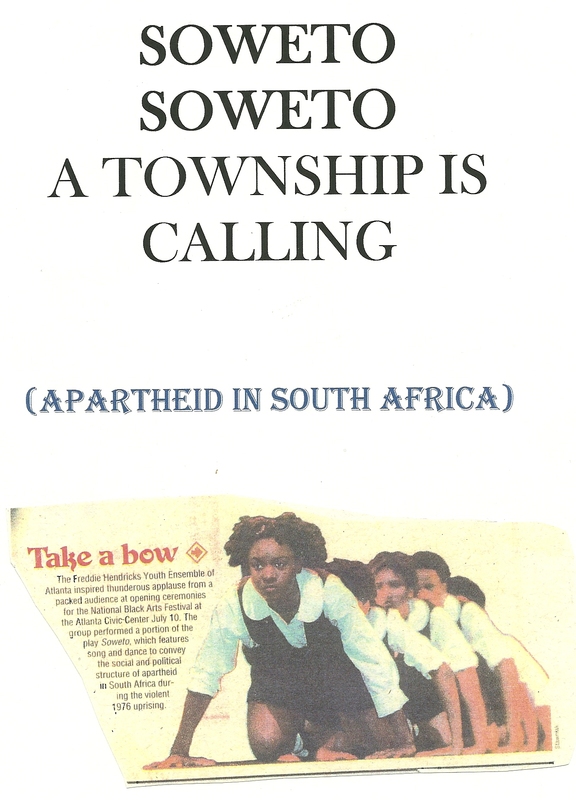 A Township Is Calling!” with Y.E.A. 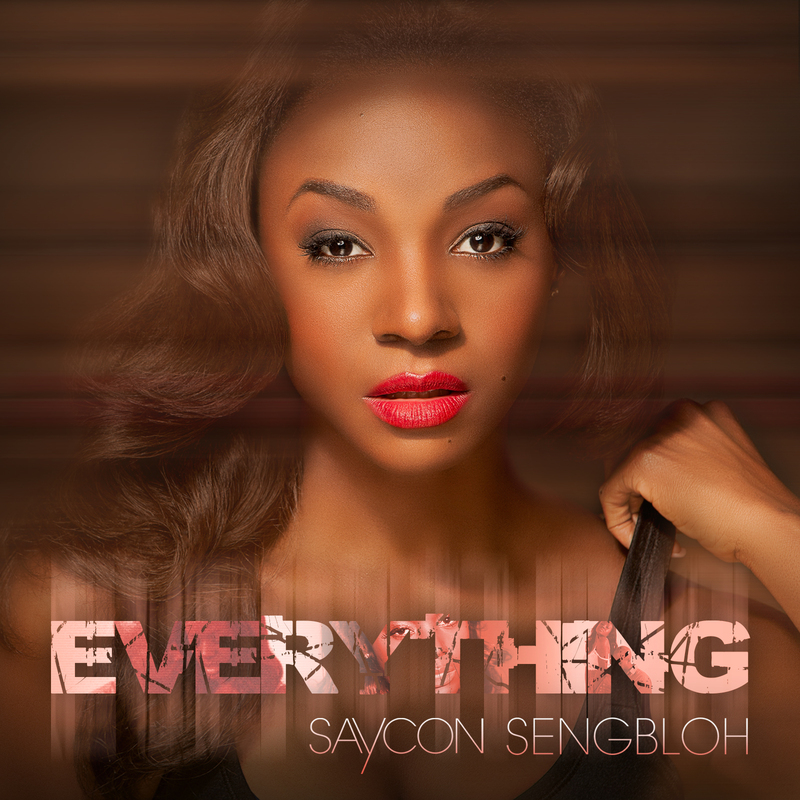 Thank Saycon for so elegantly putting into words my thoughts. I remember how proud I was of you high school students performing Soweto Soweto…so moving..with such passion and compassion. With you, I honor your spiritual Grandfather.